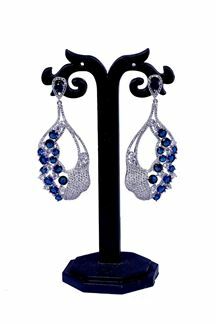 Wear a dreamy appeal with these blue stone studded designer earrings done with American diamond accentuation along with self silver plated bottom in a spectacular finish! Note: Please note that the Free Shipping offer doesn’t apply to any products purchased under the Accessories section. Shipping charges will apply. 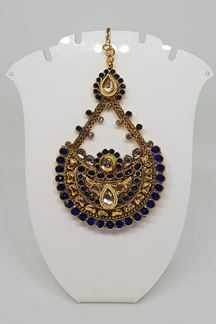 Shipping charges will be waived off only if the product is bought along with any product under the following categories – Sarees/Lehengas/Kurtis/ Suits/Gown.